MedFlex Premium ear loop face masks from First Medica are comfortable yet cost effective. Latex-free and fluid resistant, MedFlex Premium masks offer a high filtration capacity and BFE and PFE rating greater than 95%. The addition of an adjustable nose bar provides for the ultimate in comfort. 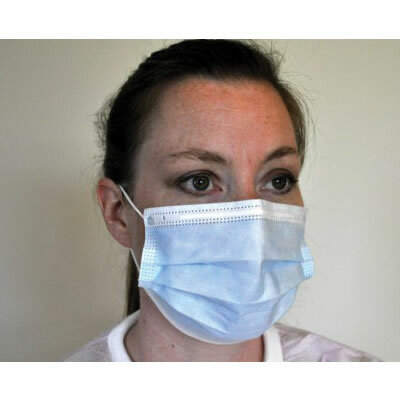 MedFlex Premium masks are available in blue and come packaged 50 per box, 10 boxes per case.